Are you talking at your readers, or are you helping them understand how you can help them with their specific needs? How much do you know about the people that visit your website? Who are they? Where do they live? What were they hoping to find when they clicked the “search” button? The answers to these questions tell us how to approach copywriting and content creation for your business. Your business and your approach to customers help our professional copywriters create a distinct voice and personality for your content. Your readers might be looking for facts from an authority, or they might respond better to a conversation with a friend. 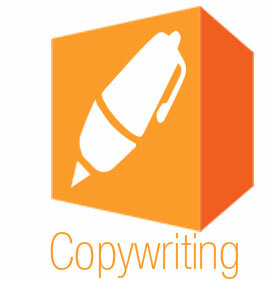 Our SEO copywriting team can learn your brand’s language or help you forge a new voice. It all depends on the needs of your business and your customers. The words are important, but without the right structure and appearance your message could be lost. Most website visitors don’t read your copy word-for-word. Instead they scan for the important points or the answer to their specific question. Our experienced professional copywriters keep this in mind when creating content for your website, utilizing keywords and copy structures that lead the eye to the most important information and establish your organization as a more authoritative, informative source than its competition. We don’t just write basic content for your website; we employ blogs, press releases, case studies, newsletters and more. We look at the big picture and develop a plan that reinforces your voice, branding and position in your field throughout the internet. Not only that, but the copywriters here at SEO Advantage® don’t work in a vacuum. They coordinate every effort with our SEO and graphics team to create and optimize web sites that rank high, reach target audiences and engage users.